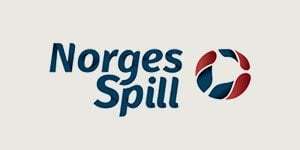 NorgesSpill Casino will then reward you with a bonus (Welcome Bonus is for new players only). The terms and conditions of the bonuses vary between different casinos and might also change over time and between different countries, so it is important to compare the different offers and read the T&C for NorgesSpill Casino before signing up. NorgesSpill Casino is a funky, happy-go-lucky online casino that features seasonal thematic layouts each season. In the spring you will enjoy the greenery of the lands of the North, summer will bring flowers and fruits; autumn leaves will decorate your screen in October, and in the winter – things go merry and you are filled with holiday joy! Praised for its unique approach to design and innovative decoration of the interface, NorgesSpill Casino has scooped quite a few rewards in the past few years: Best Online Gaming Operator 2014, 2015 and 2016. This professional online casino advocates responsible gambling and will not let anyone under the legal age of 18 to gamble at their venue. It is safe and secure and utilises the advanced SSL (Secure Sockets Layer) encryption to safeguard your sensitive data and gameplay. Norgespill Casino is licensed by the Malta Gaming Authority (MGA) and the jurisdiction of Curacao, which furthermore vouches for the complete protection you will enjoy here. NorgesSpill Casino updates its game library on a regular basis, and its titles come from a power team of potent online software suppliers: NetEnt, Microgaming, Yggdrasil, Amaya, Play’n GO and Betsoft. The establishment offers a well-rounded lobby that encompasses slots, table games, live dealer games, and so much more, as well as a 24/7 customer support and never-ending fun! Slots are the most popular category with NorgesSpill Casino’s players. All of the newest titles are immediately added to the catalogue, so you can already enjoy Vikings, Baron Samedi, Valkyrie, Halloween Jack and Robin of Sherwood. Other branded titles are on board, as well as games inspired by fantasy, action, horror and romance alike. To get your pockets packed with cash, pay a visit to NorgesSpill’s abundant jackpot collection today! Typical of a Play Cherry Ltd. online casino, NorgesSpill shows off a litany of table games of all kinds, for all profiles of players. The collection counts all classics like Baccarat, Blackjack, Poker and Roulette, but that is not all. Besides those you will also be able to play on their variants such as American Roulette, European Roulette, French Roulette, Casino Patience, and a whole lot of other card games. Bingo! In addition to all that has been covered so far, Norgespill Casino hosts a range of enthusiastic, exciting, adrenaline-charged lottery games found under ‘Lotteri’. Have a go with the likes of Powerball, Euro Jackpot, Dino Lotto, Mega Millions or 6 49 Lotteriet for example! NorgesSpill Casino has meticulously been fathoming its content for years now and boasts all sorts of games, as we have previously mentioned. The one category they are particularly proud of is the live dealer section. The department boasts over 50 live titles including Baccarat, Dream Catcher, blackjack, Poker, Roulette and all possible variants. The rules that apply in traditional brick and mortar casinos apply at NorgesSpill Casino as well, so the experienced ones among you will be familiar with them. Thanks to the latest webcam technology and sound system you will be able to see and hear your designated dealer as if he or she were right in front of you! Norgespill Casino makes sure you get your banking done quickly, easily and as soon as possible. The venue accepts a wide range of payment methods, including ewallets, credit and debit cards, bank wire transfers and fast bank transfers. As far as electronic money wallets go, your options are Trustly, Skrill, Paysafe Card, Neteller and EcoPayz. The cards at hand include Visa, Visa Electron and MasterCard. Deposits are naturally instant, but withdrawals do not take long either. If you use an ewallet, you will have to wait between 12 and 24 hours for the casino to process your request, while card users might have to wait up to 3 working days, which is according to the industry’s standards. Bank transfers are the slowest, as per usual, but those do not last more than 3 days either. Efficiency at its best! The pending time for all methods is around 24 hours. Even if you are a well experience gambler, at times a new casino can be confusing. Or perhaps you are having issues with fuelling your account? Either way, you can consult the helpful FAQ section anytime you feel like it. Find it under ‘Support’ on the bottom of any page and search for your question. If that does not suffice, you nice always reach out to a professional. A hard-working team of efficient and meticulous agents is operating around the clock for your convenience. The easiest and fastest way to get in touch is via the Live Chat facility the is open 24/7. Type in your username, email address and initial enquiry and a team rep will get back to you in a matter of seconds. Alternatively, you can get in touch via email also around the clock thru the casino’s online contact form available on the website.